The TVS-473 is equipped with a next-gen AMD R-Series RX-421BD quad-core 2.1 GHz APU (burst up to 3.4 GHz), dual channel 8GB/16GB/64GB DDR4 RAM (upgradable to 64GB), and four Gigabit LAN ports for lightning-fast multi-tasking with low power consumption and is capable of delivering up to 1,035 MB/s throughout with a 10GbE configuration. 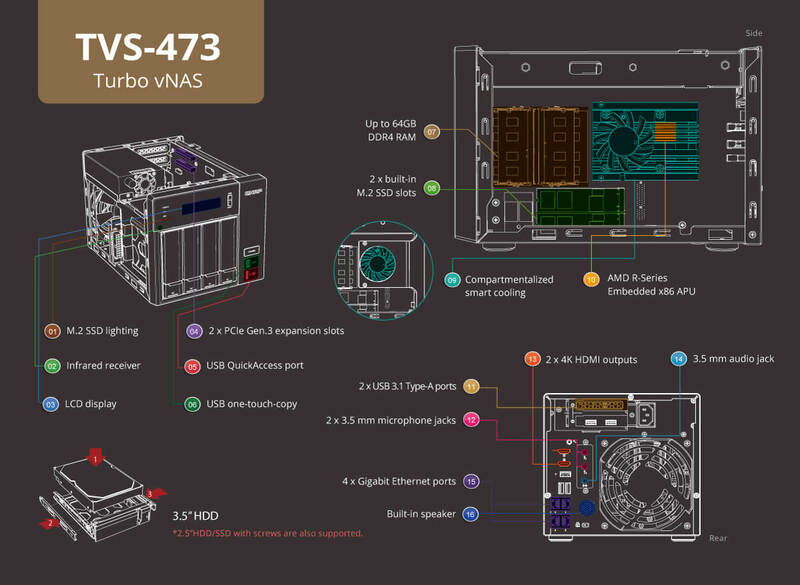 The TVS-473’s hardware-accelerated encryption engine with AES-NI provides unmatched encryption performance in its class (up to 502 MB/s with AES 256- bit full NAS volume encryption) to boost system performance, security, and ensuring the safety of sensitive business data stored in the NAS. The sturdy and feature-packed hardware of the TVS-473 bolsters overall system performance. Coupled with the flexible and expandable architecture, the TVS-473 can fulfill diversified application needs. 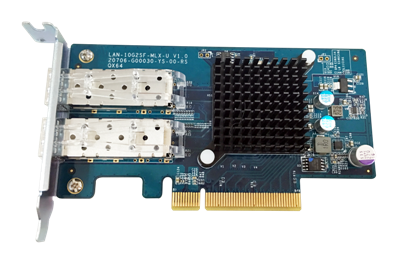 The TVS-473 features two PCIe (Gen.3 x4) slots, one preinstalled with a USB 3.1 Type-A dual-port card, and the other allows for installing an optional dual-port 10GbE (10GBASE-T or SFP+) network card. This allows for greater flexibility in setting up 10GbE environments for high-performance virtualization and backup tasks. 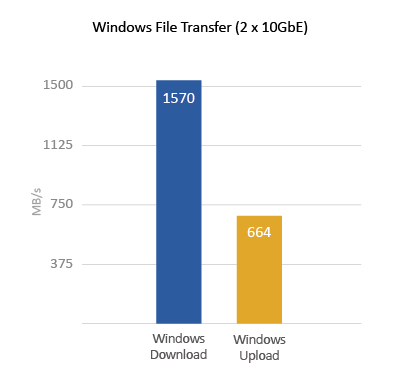 USB 3.1 provides faster maximum speeds of 10Gb/s – double that of USB 3.0 – to greatly boost data transfer performance. 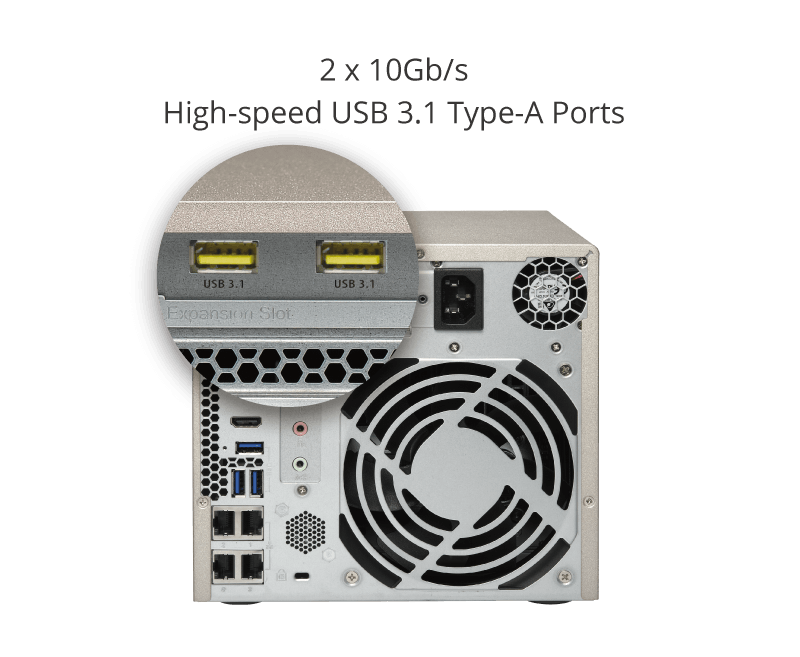 The TVS-473 comes with a USB 3.1 Type-A dual-port card for connecting up to two USB devices, allowing compatibility with newer, faster USB devices for transferring large-sized media files. The TVS-473 supports 2.5” SSD for caching to increase IOPS performance, and provides higher transfer speeds and reliability with additional two M.2 SATA 6Gb/s SSDs. Using an SSD cache boosts overall system performance, and is perfect for improving the overall workflow of random IOPS demanding applications such as virtualization. The TVS-473 combines M.2 SSD, SATA SSD and high-capacity HDD in one box to effectively realize tiered storage for exceptional application performance and lower TCO of storage at the same time. With its innovative USB QuickAccess port, the TVS-473 eliminates the complications of first-time NAS installation and provides easy direct access to files stored on the TVS-473 - all without needing network connectivity. Simply use a USB 3.0 A – Micro B cable or a USB 2.0 A – Micro B cable** to connect the TVS-473 to a PC or Mac device, and use Qfinder Pro* to configure it. It is just that easy. 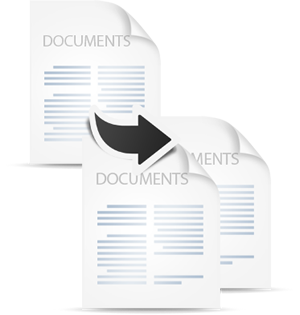 You can also assign access rights to users for different folders to prevent unauthorized access to important files. 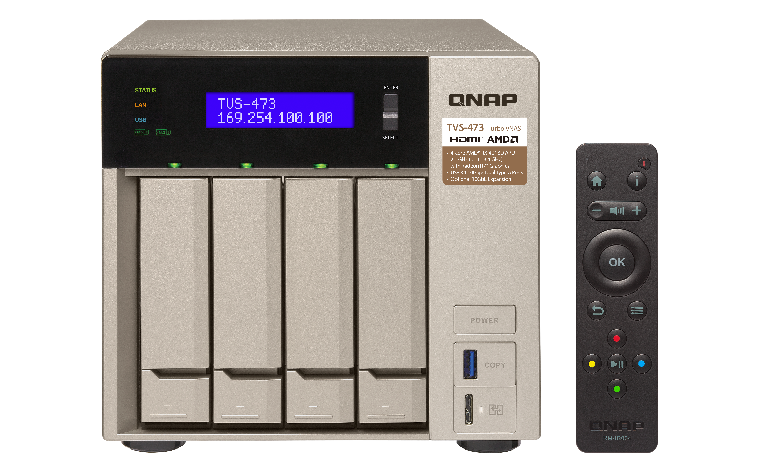 The TVS-473 natively supports the new 64-bit QTS 4.3 operating system. QTS 4.3 provides more intelligent features to enhance management efficiency, including the intelligent Qtier™ 2.0 that learns from NAS usage, analyzes system performance and peak usage hours to process auto tiering; Qfiling that helps categorize files and performs based on schedules to make organizing files automatic and efficient, and much more. 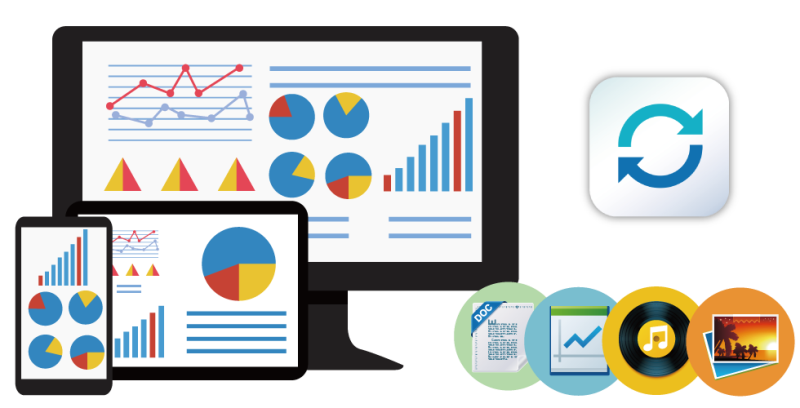 With its intuitive and simplified user interface, QTS features an intelligent desktop allows you to find desired functions quickly, create desktop shortcuts or group shortcuts, monitor important system information on a real-time basis, and open multiple application windows to run multiple tasks concurrently, bringing greater working efficiency. QTS breaks the barriers of devices, platforms, and geography to bring optimized cloud experiences and incorporates advanced features. The TVS-473 features AMD 3rd Gen GCN architecture with breakthrough GPU performance to support 4K H.264 video decoding* and stunning 4K UHD display. It delivers superior real-time 4K and 1080p video transcoding** to convert videos to universal formats that can be smoothly played on PCs, mobile devices and Smart TVs***. 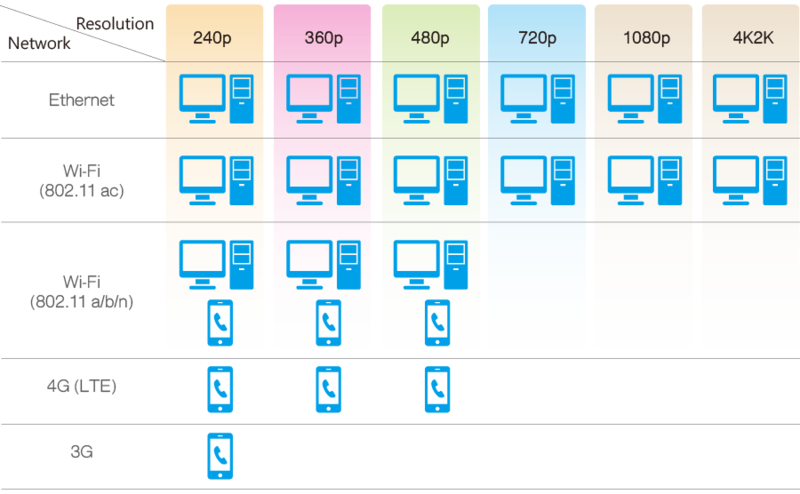 With offline transcoding, even when you can only connect using a low-speed Internet connection, you can still enjoy smooth video playback via File Station, Video Station, and the Qfile mobile app by selecting a pre-rendered lower resolution video. The TVS-473 also allows you to set a dedicated folder for automatic video transcoding. The TVS-473 offers dual HDMI outputs that support “duplicated” or “extended” desktop configurations. 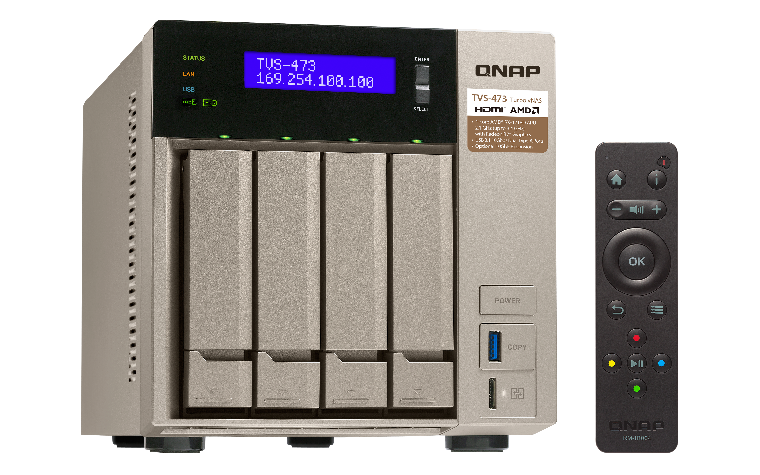 You can connect the TVS-473 to a TV or A/V receiver and use the media player in HybridDesk Station (HD Station) with the bundled QNAP remote control to enjoy rich media content and 4K videos with the best audiovisual experience. With the help of the smart remote control learning function, you can pair up to three TV or stereo IR remote controls and program your frequently-used buttons and functions. You can also turn your mobile devices into remote controls by installing the Qremote app. 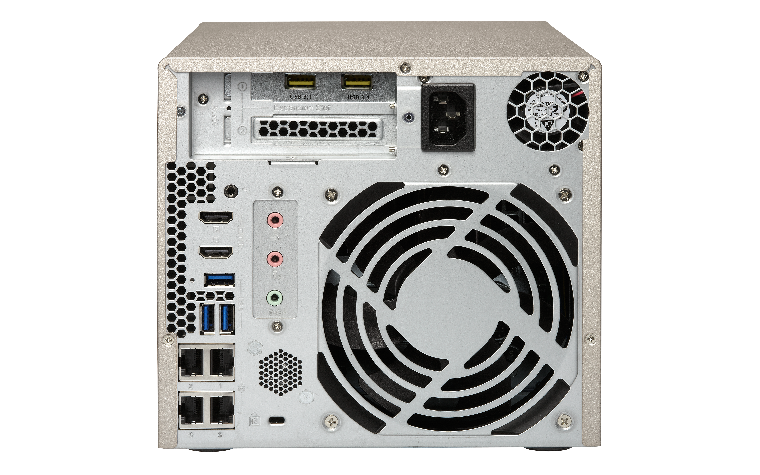 The TVS-473 supports SMB/CIFS, NFS, and AFP protocols for file sharing across Windows®, Mac®, Linux®/UNIX® networks. Data, logs and ISO images of CDs and DVDs can be centrally stored on the TVS-473. The Windows AD® and LDAP services enable system administrators to configure user permissions by using an existing Windows AD server, LDAP server or built-in LDAP service. The TVS-473 supports SAMBA v4 and can act as a Windows domain controller to manage privilege settings. 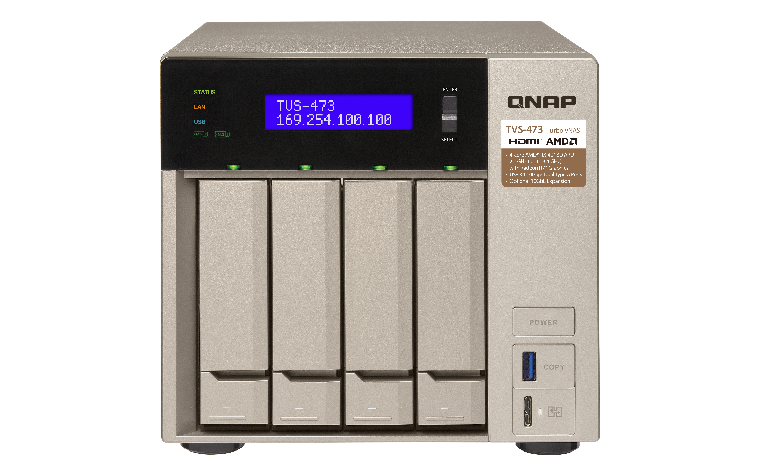 The TVS-473 is a comprehensive centralized backup center for multiple files. 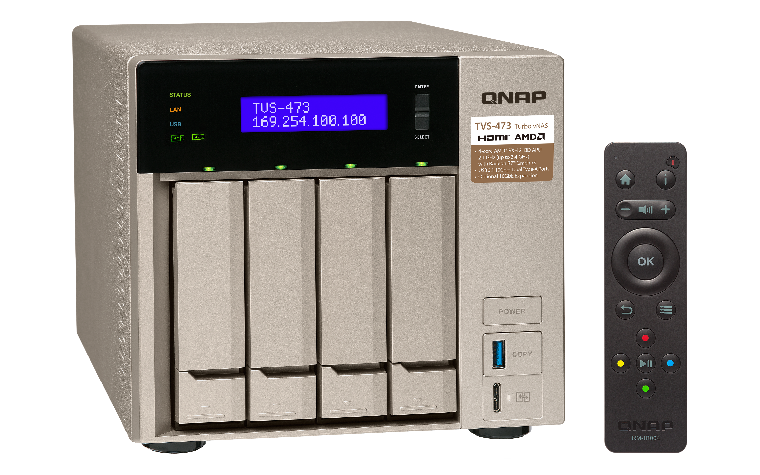 You can use QNAP NetBak Replicator to back up files on Windows® (including Outlook® email archiving) to the TVS-473, or use Time Machine® for Mac® data backup. A wide range of third-party backup software such as Acronis® True Image™, Symantec Backup Exec™ and Commvault® are also supported to facilitate system backup and restoration. In open network environments, business data may be exposed in a potential hack. The TVS-473 provides numerous security options, such as encrypted access, IP blocking, 2-step verification, and more. IT administrators can also control the access rights of each user to different folders, preventing unauthorized access to important files. The TVS-473 supports AES 256-bit encryption, preventing sensitive business data from unauthorized access and breach even if the hard drives or the entire system were stolen. To complement the TVS-473 as a huge data center, “searchability” is one of the key areas for increasing the value of stored data, and Qsirch is the best tool to realize optimized search capabilities for vast data storage and archiving. 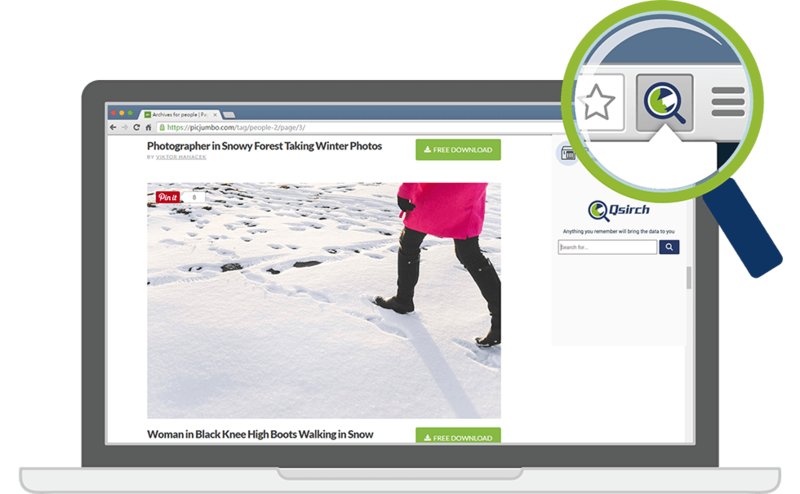 Qsirch is a full-text search tool for quick file searching, supporting thumbnail previews and even remembering your search history allowing you to quickly navigate to files you've previously searched for. Qsirch Helper, a browser extension for Chrome™ and Filefox®, allows you to search for files on your NAS when you use Google Search. 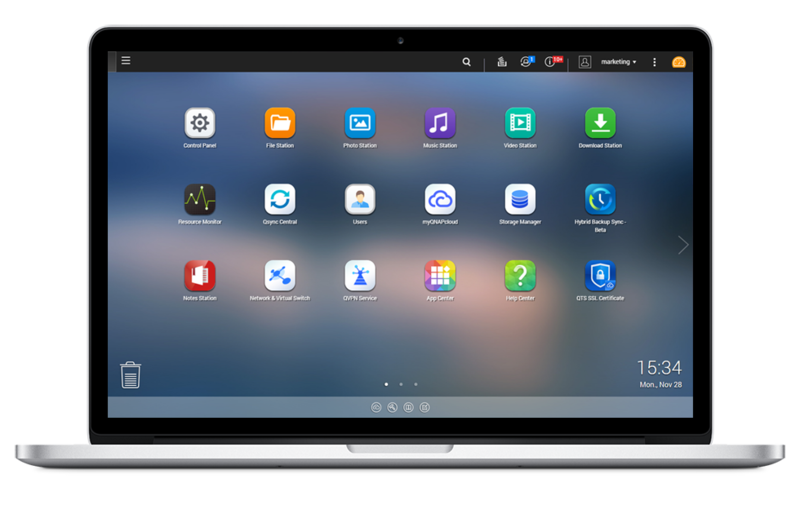 Qsirch is a huge productivity boost that greatly reduces the time spent looking for files on the NAS, allowing you to focus on other tasks. 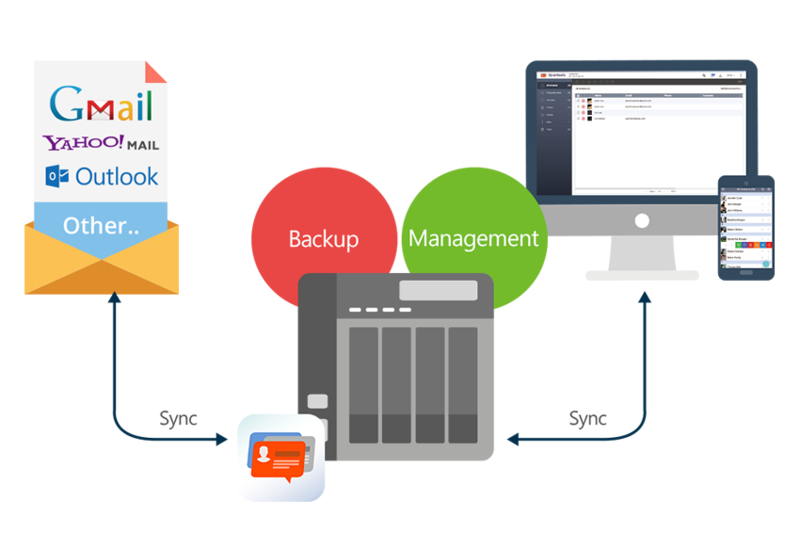 QmailAgent is an online email client that helps you manage multiple email accounts, allowing you to access all of your emails and to easily switch between different accounts. It provides complete functionality for composing, reading and organizing emails. You can even attach files, photos and documents from the TVS-473 when composing emails. iOS® and Android™ users can use the QmailClient app to quickly check multiple email accounts with mobile devices, and to browse & send emails using the QmailAgent on their TVS-473. You can use QmailAgent together with Qsirch, which supports searching through the .eml files stored on the TVS-473, to make searching through and managing massive amounts of emails much easier. 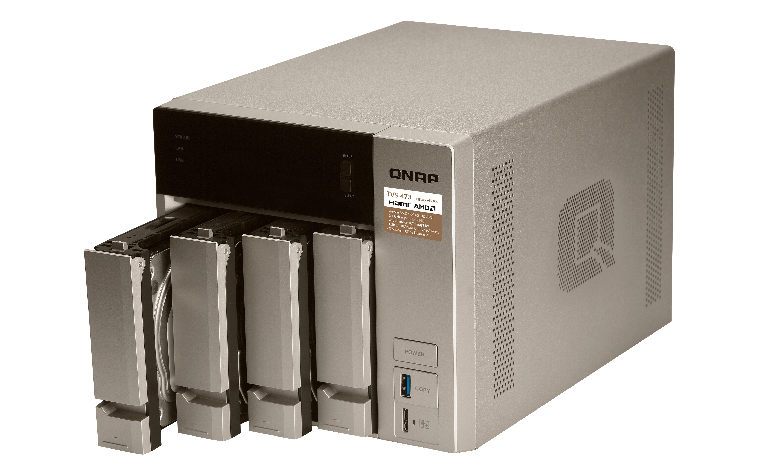 Qcontactz with the high-capacity TVS-473 helps you centrally store and manage contact information for colleagues, business partners, families, and friends. 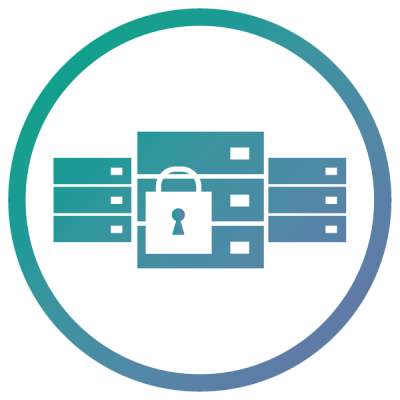 Other features include: importing/exporting CSV or vCARD 3.0 files, automatic identification of frequently-used contacts, encryption for sensitive/confidential contact information, smart search function, and more. Qcontactz offers snapshot backups that enable you to revert to a previous version of your contacts list according to your needs. A companion app for Android phones and iPhone is also available for easy access to contacts. 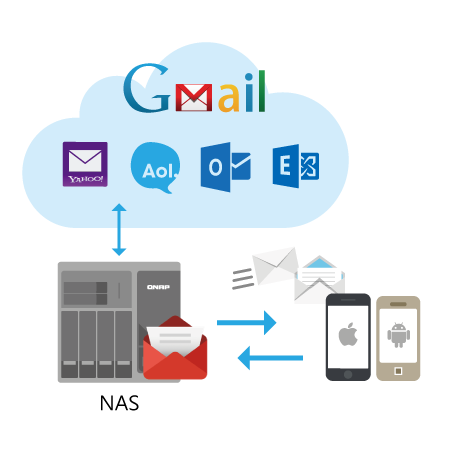 Qcontactz can also be used with QmailAgent to create the perfect email workflow environment. The TVS-473 is a comprehensive iSCSI/IP-SAN storage solution, and supports VMware®, Citrix®, Microsoft® Hyper-V™ and Windows Server® 2012 R2, benefiting flexible deployment and management in virtualization environments. The TVS-473 supports VMware VAAI and Microsoft ODX to increase performance by offloading server loading for ESXi server and Hyper-V respectively, and supports QNAP vSphere Client plug-in and QNAP SMI-S provider with enhanced operational efficiency and management in virtualization applications. Virtualization Station allows you to host virtual machines (VM) on the TVS-473 and access them via a web browser or VNC. 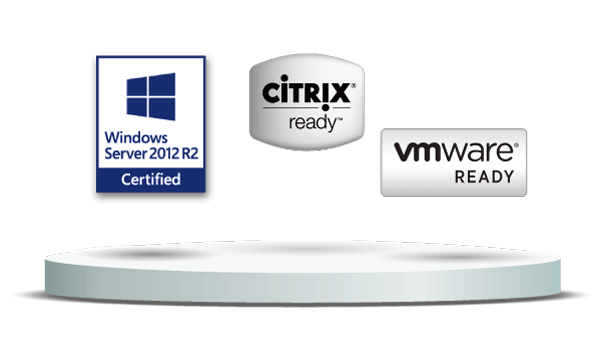 Virtualization Station supports multiple operating systems, fast VM creation, VM backup & restoration, VM import/export, snapshot, and Device Management for centrally managing VMs. Virtualization Station allows the TVS-473, VMs and containers to share the same LAN port. No longer constrained by physical network performance, high-speed virtual switches greatly increases data transfer between VMs, containers and NAS through the internal interface. The TVS-473 also features Container Station, which integrates LXC and Docker® lightweight virtualization technologies. You can operate multiple isolated Linux® systems on the TVS-473 as well as download apps from the built-in Docker Hub Registry®. Containers Station also supports the QIoT Containers platform that helps quickly structure your IoT environment and deployment on your private IoT cloud. QTS Storage Manager adds an easy-to-use web-based snapshot tool for you to easily backup and restore data on the TVS-473 back to any point of time in case you lose any important data. You can take snapshots for volumes and LUN (up to 256 snapshots per volume or LUN and maximum 1,024 snapshots per NAS), efficiently replicate volume/LUN snapshots via Snapshot Replica to remote servers by copying only the changes made, and quickly clone a volume /LUN snapshot as a local volume without interrupting the current system operation. You can even set up the system to automatically take a snapshot of the volume before backup via RTRR/rsync, even if files are open. 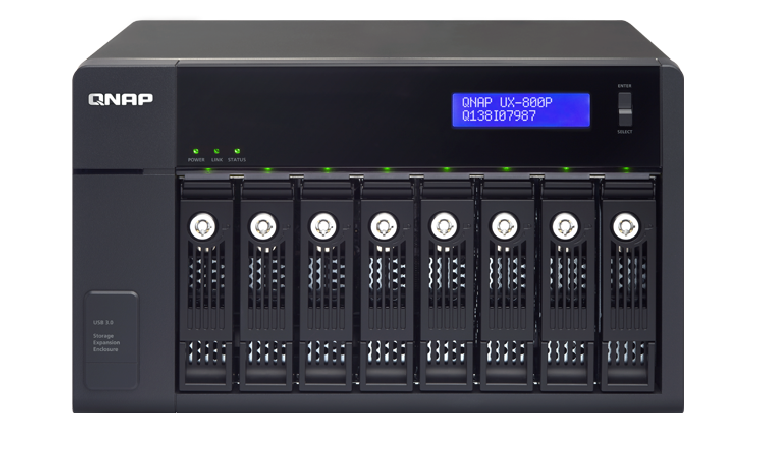 Qsync utility turns your TVS-473 into a safe, high-capacity data center for file synchronization. Any file uploaded to the TVS-473 will be made available for all linked devices, such as computers, laptops or mobile devices. Qsync is especially useful for frequent travelers to manage files and always have the most up-to-date files on different devices. Qsync provides multiple ways for file synchronization and group file sharing, greatly enhancing the flexibility of team projects and collaboration. 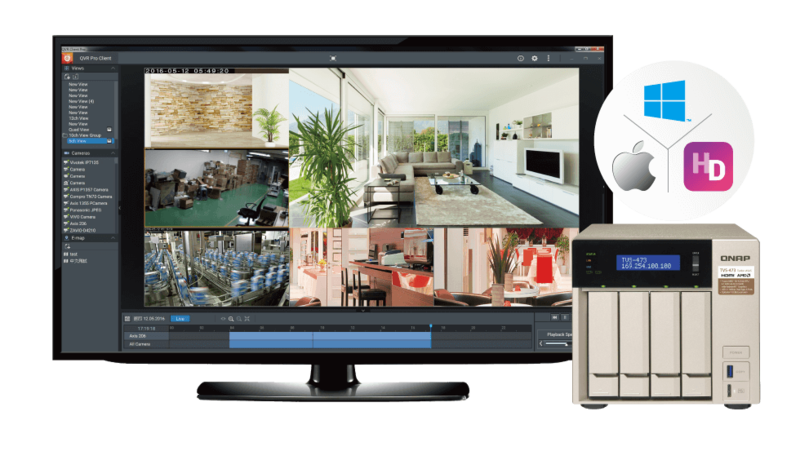 Surveillance Station is a professional network surveillance Video Management System (VMS) that offers a user-friendly management interface, over 3,000 compatible IP camera models, and expandable IP camera channel licenses. 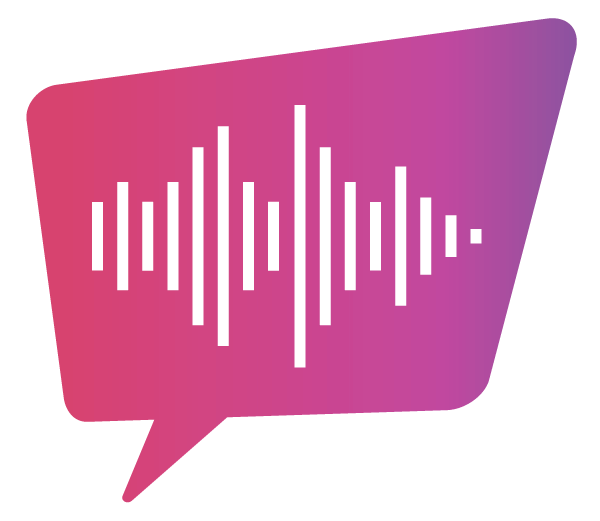 It supports real-time monitoring, video & audio recording and playback with a wide range of customizable settings. You can also install the Vmobile app on your iOS® or Android™ devices to manage the monitored channels anytime and anywhere, or install the Vcam mobile app to turn your device into a network camera to instantly record to your TVS-473. The TVS-473 offers 4 free IP camera channels and you can expand up to 72 channels by purchasing additional licenses. 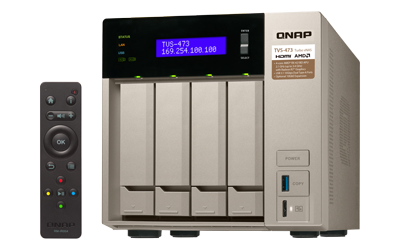 The TVS-473 also supports QVR Pro (Beta) that integrates QNAP’s professional QVR system into the QTS operating system. 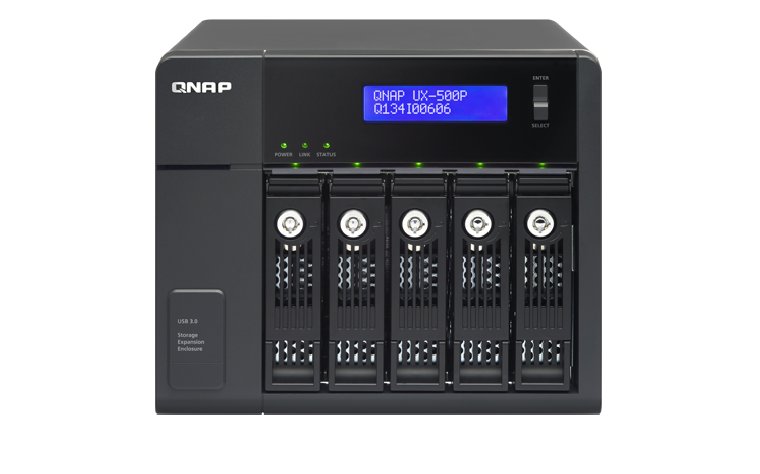 You can not only arrange a dedicated, independent storage space for surveillance data on the NAS, but also leverage the advantages of scalability and storage manageability from QTS. 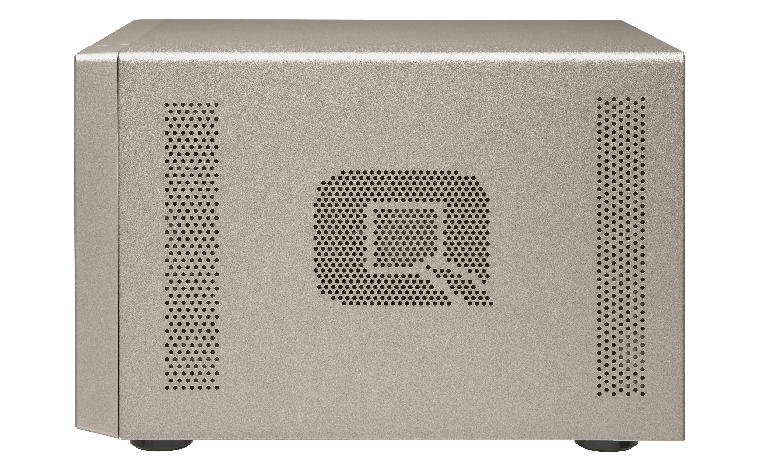 QVR Pro features a flexible monitoring interface that allows you to adjust the proportion and monitor view of IP cameras, supports an upgraded timeline feature that provides instant video search and quick view identification in live monitoring mode, and allows for monitoring views and playing back images without switching between different windows. Additional functions like batch adding and editing cameras, and searching for cameras across different LANs further save the cost and time in deploying and maintaining a complete surveillance system. 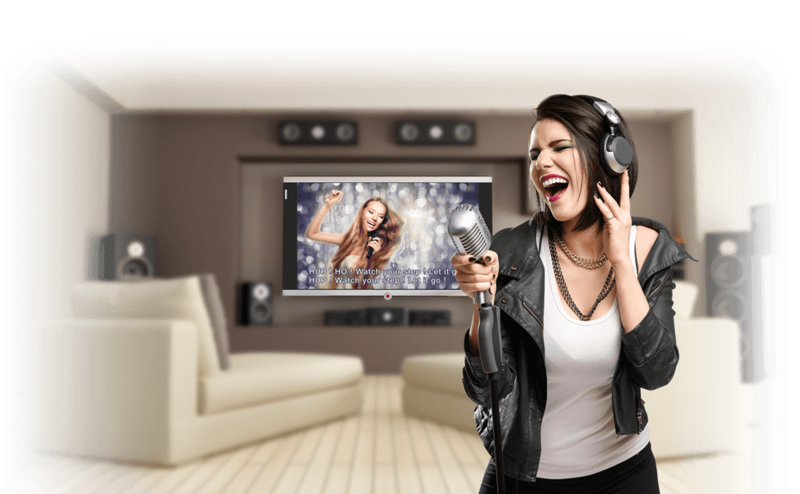 OceanKTV is the first NAS-based karaoke application and allows you to create a quality karaoke experience at home or in the office. 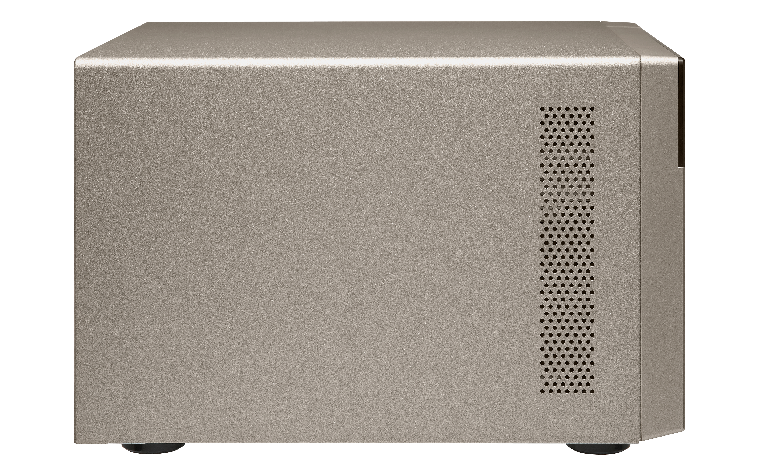 The TVS-473 offers high-capacity storage for potentially accommodating up to thousands of 1080p karaoke songs, and now supports YouTube™ video streaming. The TVS-473 comes with two 3.5 mm microphone jacks and can transmit audio to your amplifier using HDMI or the 3.5 mm line out port. The experience can be managed using the OceanKTV app in QTS or by using the OceanKTV mobile app on your phone or tablet. More than a NAS, the TVS-473 is a karaoke machine for singing entertainment. 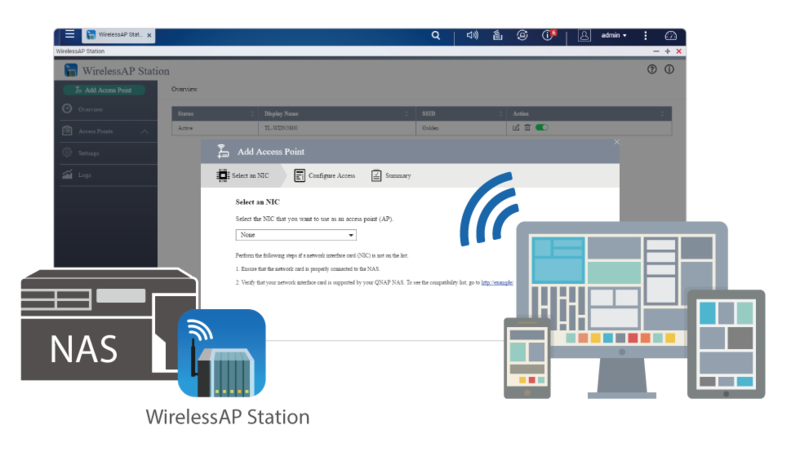 WirelessAP Station coupled with a compatible PCI Express wireless adapter* turns the TVS-473 into a dedicated Wireless AP, making it the ideal solution if you have multiple devices that need internet connectivity but have no available access points. As those devices directly communicate with the TVS-473 through the WirelessAP Station, it not only allows for the network resources of the NAS to be shared with greater efficiency, but it also prevents possible slowdown that may occur when the broadband router is busy. 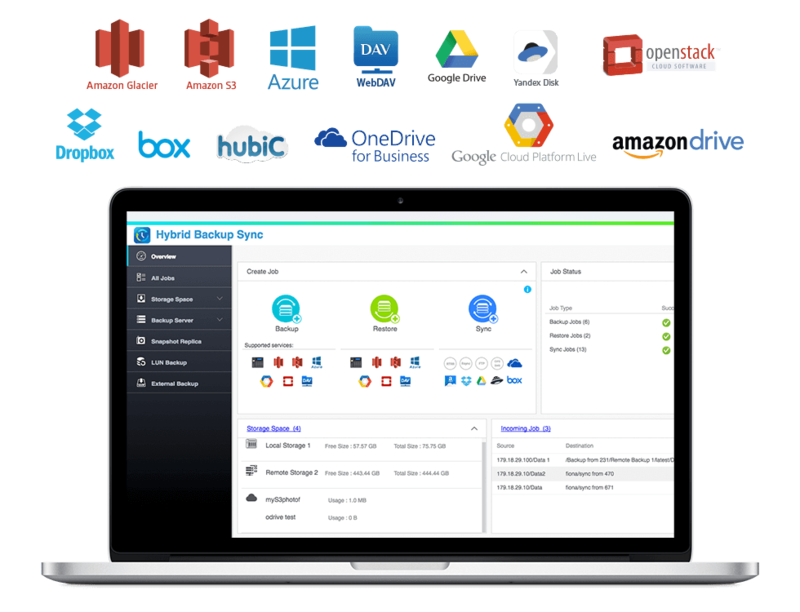 The built-in App Center provides various install-on-demand apps developed by QNAP and third-party developers, including tools for backup/sync, business, content management, communications, download, entertainment, and much more. It is also a centralized location for managing & updating installed apps. You can freely install apps as needed to expand your TVS-473’s functionality. 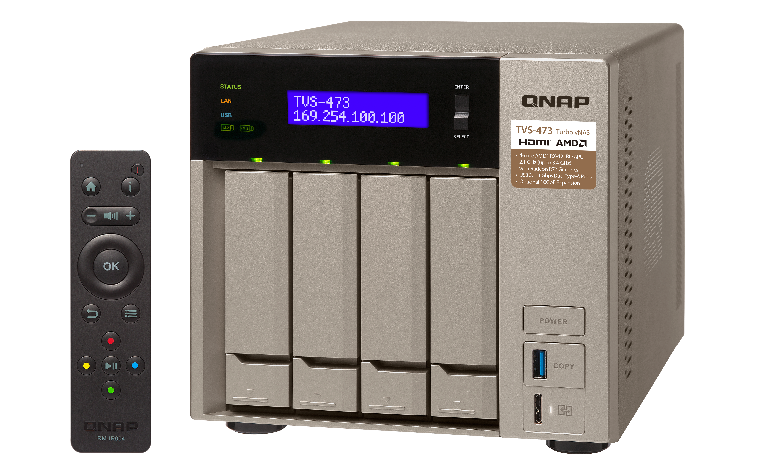 The TVS-473 offers a high performance yet affordable storage solution to fulfill the needs of business in archiving rapidly-growing data & large files. 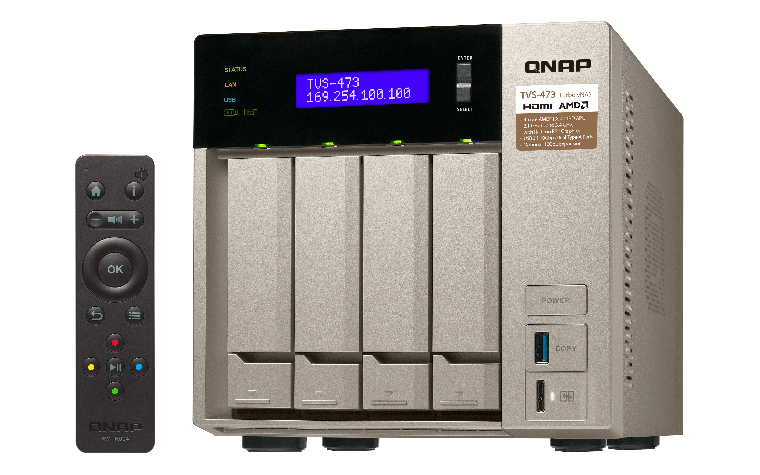 Up to two QNAP expansion enclosures can be connected to expand the TVS-473’s raw storage capacity on demand, making the TVS-473 an ideal file center for storage-intensive business applications such as video surveillance, data archiving, TV broadcast storage, and more. The TVS-473 features a built-in speaker that supports Chinese and English vocal alerts for important system messages. You can also use Music Station or File Station (coupled with Qfile and Qmusic mobile apps) to directly play music on the NAS.